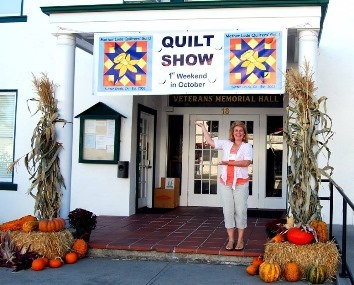 We had a very successful Quilt Show on October 5 & 6, 2018. Thank you to all of you who attended our 2016 Golden Thread Quilt Show in October. Your destination to Sutter Creek made our quilt show very successful. The Opportunity Quilt winner was Sharon Garsee from Sacramento. Everyone was a winner with our Silent Auction, Gift Baskets, Country Store, and Vendors. Thank you for supporting the Mother Lode Quilters’ Guild. We had fun and hope you did also. Now save the date of October 3 & 4, 2020 for the next Golden Thread Quilt Show.